This hub is part of a series on America's first manned space program, Project Mercury. Links to all the hubs in this series can be found at the NASA Project Mercury Overview. Compared to modern spacecraft, America's first manned spacecraft was tiny. The Mercury spacecraft was a small capsule designed to carry a single man into earth orbit. Its size and weight was limited by the payload capacity of the Atlas rocket, which was the most powerful rocket the US had at the time. Inside the spacecraft, the Mercury astronaut could move only his arms and head. 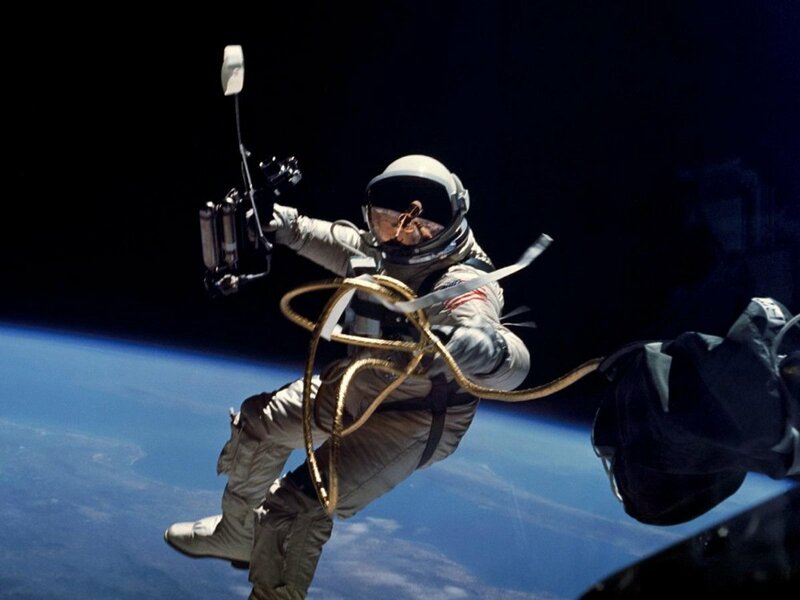 Although astronauts spent hours in space on the later orbital flights (Gordon Cooper was in orbit for 34 hours), they never unbuckled their straps to float around the cabin. There was no place to go. Mercury Spacecraft with escape tower attached. Image courtesy of NASA. Mercury Spacecraft atop an Atlas-D booster. Photo courtesy of NASA. 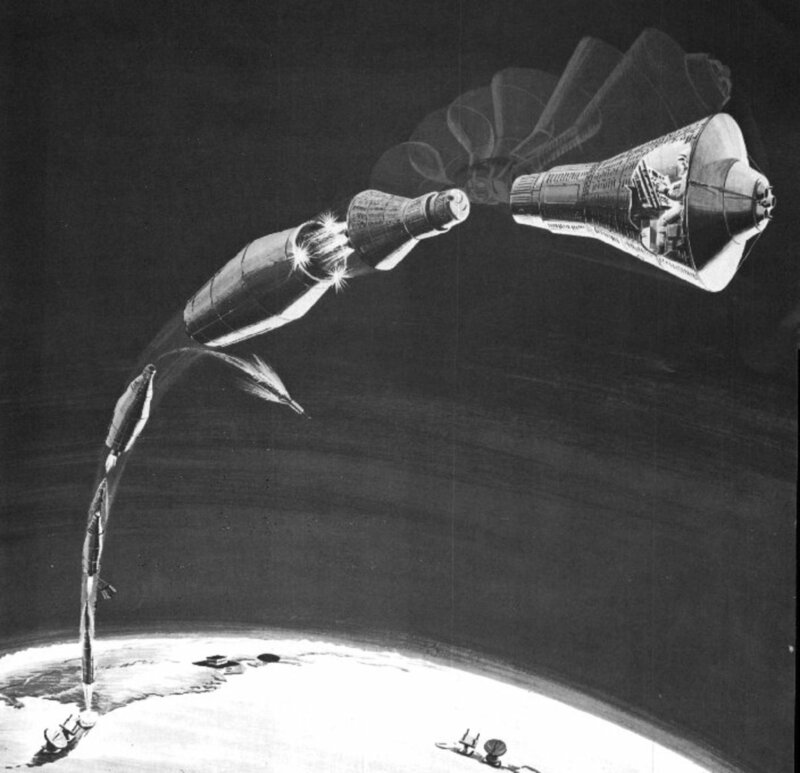 Artist's conception of the Mercury capsule turning over, making the forebody the front of the spacecraft. Image courtesy of NASA. The Mercury spacecraft consisted of two main sections, forebody and afterbody, and two additional structures, the retro rocket pack and the antenna fairing, which were ejected during reentry. The forebody, a large dish-shaped section, was on the bottom of the spacecraft while on the launch pad, but after launch and separation from the booster, the spacecraft rotated and the forebody became the "front" of the spacecraft. 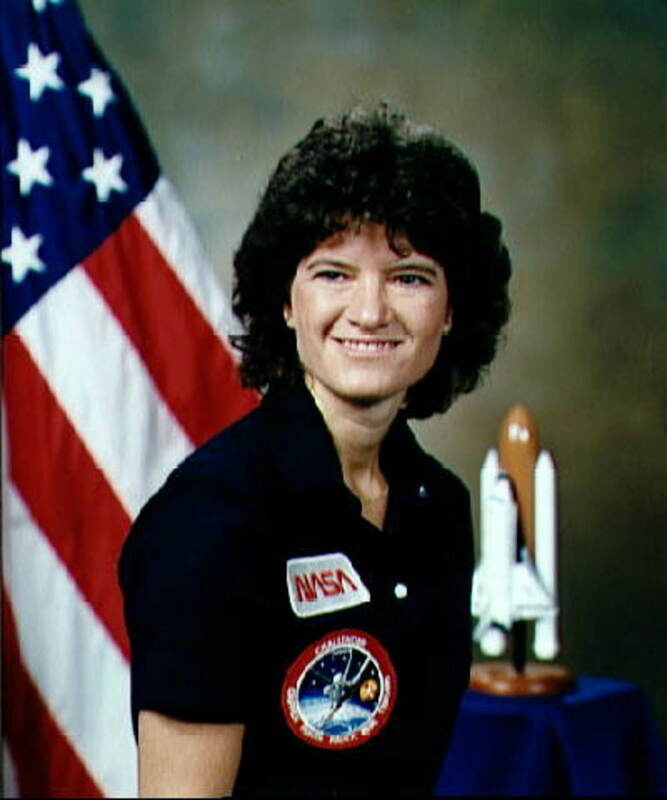 The forebody was also the first part of the spacecraft to reenter the atmosphere. Research had shown that a blunt shape would best withstand the intense heat generated by reentry. The forebody was covered by a heat shield that would burn off, helping to dissipate the heat. This section also contained an impact skirt to help absorb the impact of landing. Before landing, the heat shield would release and drop, pulling the impact skirt open. The afterbody was a conical mid-section with a small cylindrical section attached. The conical section contained the pressurized cabin where the astronaut sat. The cylindrical section housed the recovery system compartment, containing maneuvering jets, recovery aids (including dye markers and a radio beacon), and the main parachute. An antenna fairing containing the main receiving and transmitting antenna was attached to the cylindrical section. It was ejected during reentry, and the astronaut could then exit the capsule through the recovery compartment following splashdown. Major Structural Components of the Mercury Spacecraft. The term capsule is often used to refer to small manned spacecraft which have no wings to create lift when they enter the atmosphere. Unlike the Space Shuttle, which glides through the atmosphere to make a controlled landing on an airstrip, a capsule simply falls to earth at the end of its mission, protected by a blunt heatshield. A parachute is used to soften the capsule's landing. The afterbody had a titanium hull, blanketed with thermoflex insulation, and covered with shingles. The conical section was covered by shingles made of a nickel-steel alloy, and the cylindrical part of the afterbody was covered by shingles made of beryllium. The spacecraft was 1.9 meters (6 feet, 2 1/2 inches) wide at the base, with a height of 2 meters (6 feet, 10 inches). With the retro pack and antenna fairing attached, the total height was 3.51 meters (11 feet, 6 inches). During launch, an escape system was attached to the spacecraft. This was a rocket-powered tower that would pull the spacecraft away from the rocket in the event of an emergency during launch. The escape tower, which was jettisoned shortly after launch, added another 5.8 meters (19 feet, 2 inches) to the length of the spacecraft. 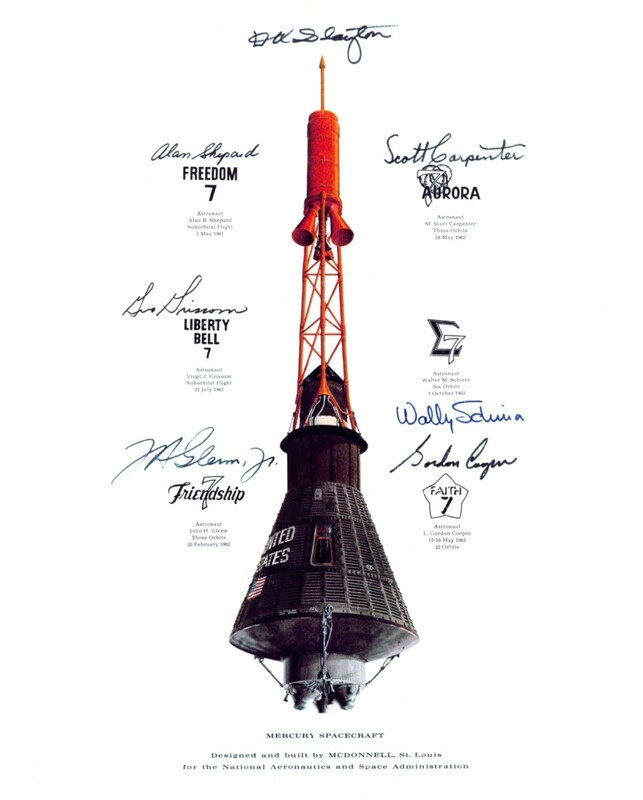 The spacecraft had an automatic control system to stabilize it during flight, but a manual system, with a separate fuel supply and its own set of thrusters, enabled the Mercury astronauts to control the spacecraft's attitude (orientation) if desired. A third control system, called fly-by-wire, gave the astronaut manual control over the thrusters of the automatic system. This meant that either the manual or automatic system could fail completely and the astronaut would still be able to maneuver the spacecraft. It also meant that both control systems could be used simultaneously to provide extra thrust, if necessary. Spacecraft attitude control - roll, pitch, and yaw. 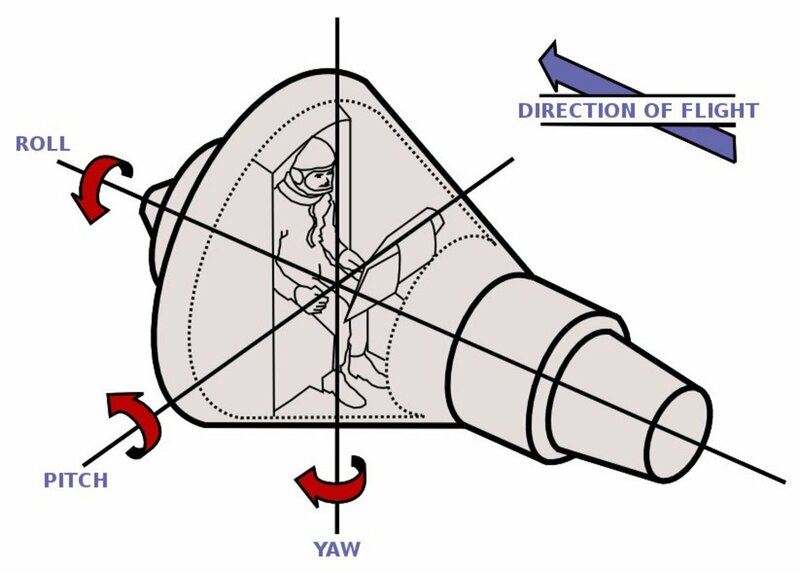 The capsule did not have the capacity to move to a higher or lower orbit, but three sets of control jets allowed the astronaut to control the spacecraft's roll, pitch, and yaw (movement on any of its three axis - see diagram). 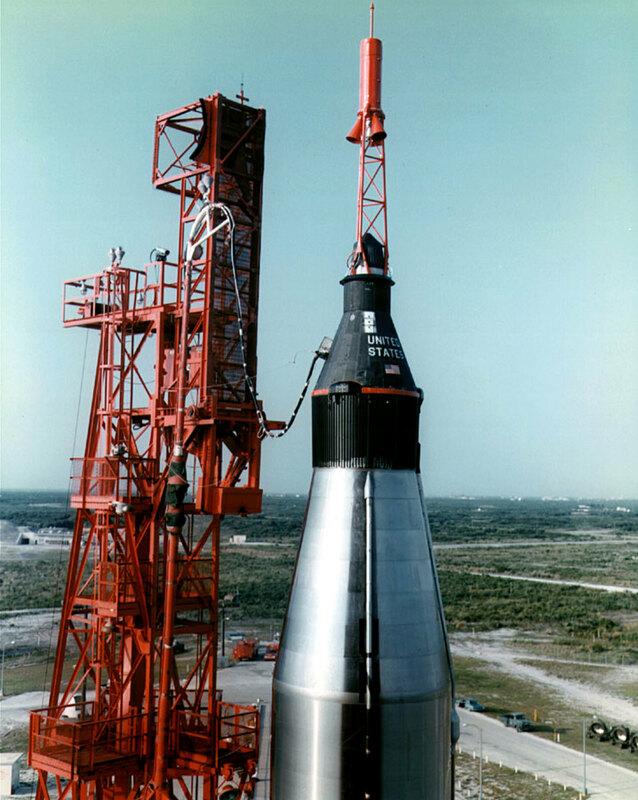 The Mercury capsule was the first spacecraft to have its attitude adjusted manually in space when Alan Shepard took control during his May 5, 1961 flight of Freedom 7. The Vostok spacecraft that carried the first Russian Cosmonaut, Yuri Gagarin, into orbit had similar capabilities. During his flight, however, the manual controls were locked, as the Russian medical team was uncertain what Gagarin's capabilities would be in zero-g. His Vostok 1 spacecraft was controlled by an automated system throughout the flight, although cosmonauts on later Vostok flights were able to manually adjust the attitude of their spacecraft. 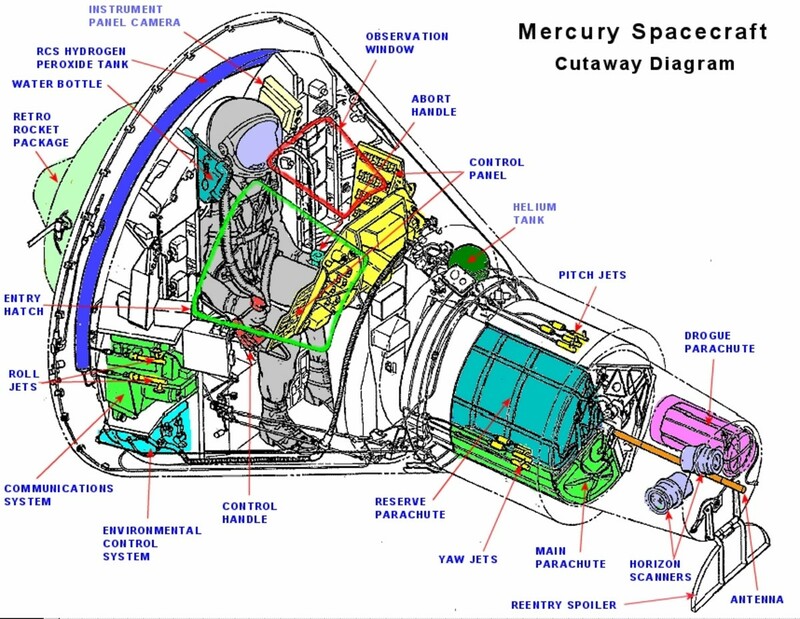 Mercury spacecraft cutaway diagram. Photo courtesy of NASA. The astronaut was strapped into a custom moulded couch with his back to the forebody section. This configuration meant that the astronaut flew backwards once in orbit, but it also meant that any time the astronaut experienced increased g-forces, he would be pushed into the couch, which was both safer and more comfortable than being thrown forward. Periods of increased g-forces included launch, firing of thrusters to separate the capsule from the booster, retro rocket fire, reentry and splashdown. Because he flew backwards, the Mercury astronaut watched the earth as it receded away from him, rather than seeing it as it approached. For viewing in the other direction, a periscope could be lowered through a door in the bottom of the capsule, displaying its image on a screen in front of the astronaut. Space travel follows a different set of rules than travel on earth. On earth, if a vehicle's means of propulsion is removed, that vehicle will slow down and eventually stop. 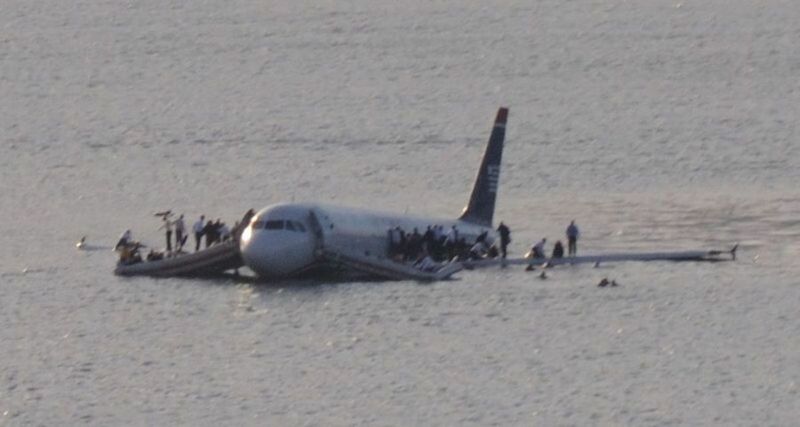 If the engines of an airplane in flight stop working, for example, the airplane cannot continue to fly. Likewise, if you remove your foot from the accelerator, a car will soon come to a stop. With orbital flight, the opposite is true. Once a vehicle has achieved it's desired orbit, the rockets cannot continue to burn. They must be shut off. The speed of the vehicle at that point is sufficient to keep it in the desired orbit. In low-earth orbit, a spacecraft might continue to circle the globe for years without ever firing its rockets. To return the spacecraft to earth sooner, retrorockets are used. These rockets fire against the direction of travel, slowing the spacecraft down. The spacecraft, no longer having sufficient speed to sustain its orbit, approaches earth and re-enters the atmosphere. A pack with three small rockets was attached to the forebody with three straps. These were the retrorockets that would be used at the end of an orbital flight (see the sidebar to the right). As with all American spacecraft up until the Space Shuttle, the Mercury spacecraft was designed to land in the water. Following a splashdown in the ocean, the astronaut and spacecraft would be recovered by helicopter and taken to an aircraft carrier or naval destroyer vessel. The Mercury spacecraft was successfully used on six manned missions, during which it was proved that man can function properly in the weightlessness of space for up to 34 hours, with no negative side effects. Good point, anon. The Vostok did allow for manual attitude adjustment, although the controls were locked during Gagarin's flight, preventing him from doing so. I've updated the article to be clearer about that. Thanks for bringing that up! Just a minor correction. Yuri Gagarin's Vostok and all subsequent Vostok and Voskhod craft could in fact change their attitude manually. Cosmonauts were given an envelope with an keycode inside that would be punched into a lock on the lefthand instrument panel. This would allow the cosmonaut access to a variety of functions including the switches for overriding the automated attitude control system and for firing retro rockets. There is a joystick on the right side of the cockpit equipment which would allow the cosmonaut to utilize Vostok's cold gas thrusters to align the craft manually for deorbit burn.